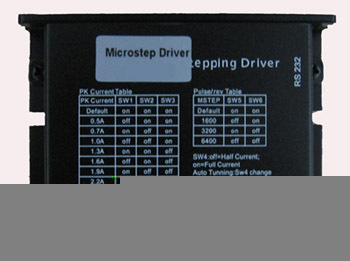 This driver is an advanced multi-function step motor driver which can be controlled both by external step pulses, but also from an internal step generator which controls the speed, acceleration etc. of the motor. 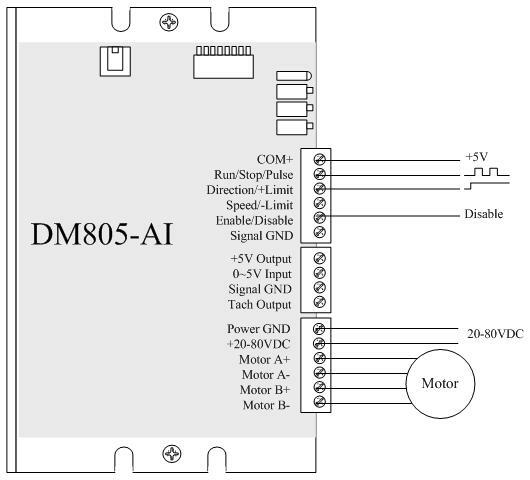 The DM805-AI featured in supporting 0-5V analog signal for speed controls. 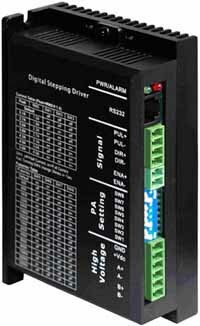 Like other DM series drives, it brings a unique level of system smoothness, providing optimum torque and nulls mid-range instability. The self-test and auto-configuration technology offers optimum responses with different motors and easy-to-use. The driven motors can run with much smaller noise, lower heating, smoother movement than most of the drivers on the markets. 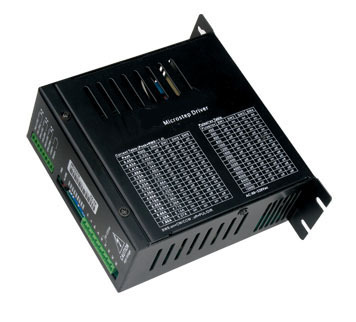 Its unique features make the DM805-AI an ideal solution for applications that require low-speed smoothness. 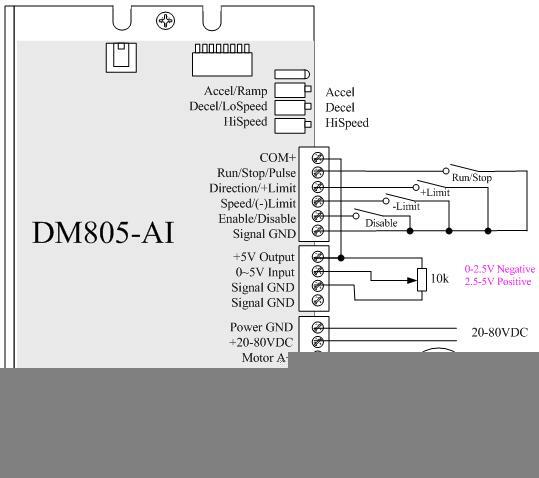 Not only implemented in traditional stepper systems for positioning controls, the DM805-AI has also been adopted in OEM applications for speed controls. In many applicaitons, Leadshine clients successfully implemented DM805-AI for speed controls, especially in low-speed applications to replace brushless DC motors plus planetary gearboxes. The three built-in potentiometers are used to preset and adjust the velocity, acceleration and deceleration. In 0-5V speed mode, the motor speed is controllable and follows the analog 0-5V input. In high/low speed mode, the motor speed is selected by digital input and adjusted by the high/low speed potentiometers. 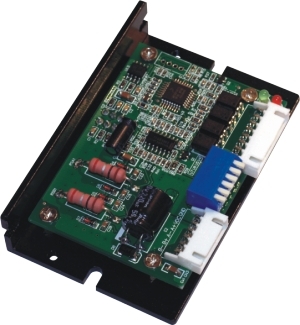 The user can run the motor with the least configuration and connection. 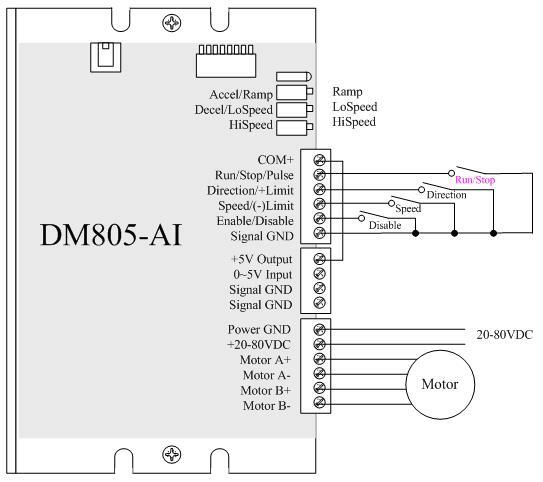 In position mode, the DM805-AI is a traditional stepper drive. 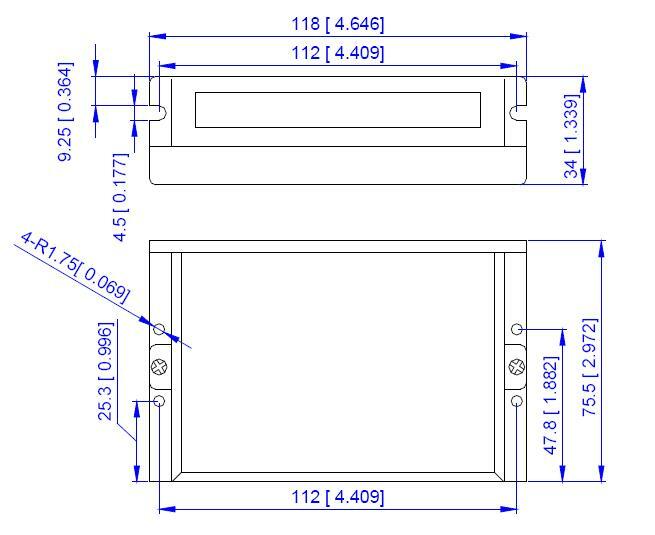 There is a 5V power supply output for customer use.